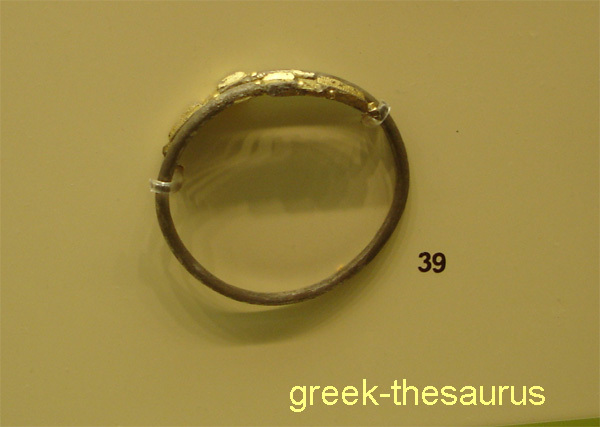 Archaic and Classical period (6th-5th c.BC) jewelry pictures collection Each thumbnail photo is a link to a larger version of the same photograph. Bracelet. With gilded ends decorated with snakes heads. 6th c. BC. From sanctuary of Olympia. Museum of Olympia. Earrings. 6th c. BC. From sanctuary of Olympia. Museum of Olympia. 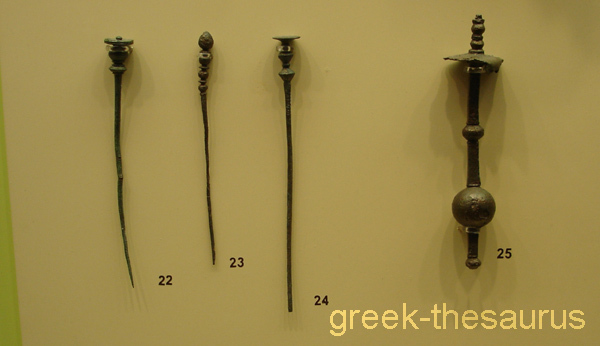 Fibulae. From sanctuary of Olympia. Museum of Olympia. Pins. From sanctuary of Olympia. 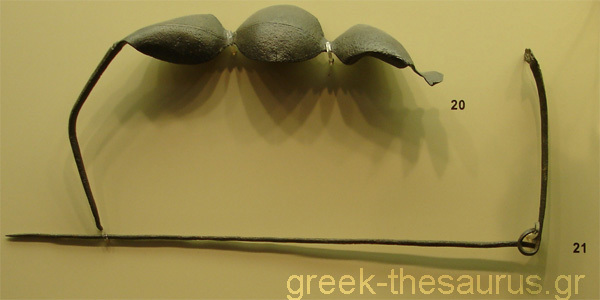 Museum of Olympia.